If you are experiencing a problem with your garbage disposal, there are a few things you can do before calling for plumbing service. 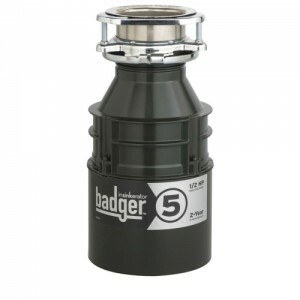 A jammed flywheel is the most common problem associated with garbage disposal service calls. Your disposal’s flywheel is the spinning portion you can see by looking past the rubber gasket. As with all electrical appliances, first unplug or turn off the power. Using a broom handle or the end of a plunger, attempt to manually turn the flywheel. If your flywheel turns, plug the power back in and run some ice cubes through it. If your disposal makes no noises when turned on, you may have an electrical problem or tripped reset button. The red reset button is located on the bottom of most garbage disposals. The disposal may make a humming noise after pressing the reset. This is the sound of a jammed flywheel. Try manually freeing the flywheel with the procedure above and then press the reset. Running ice cubes through your disposal from time to time can remove the odor causing organic build up. 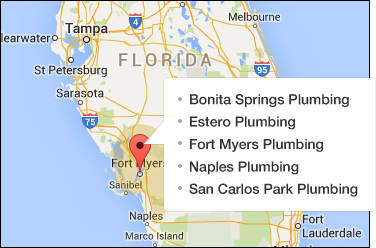 If the above procedure does not work or if you would like a professional to diagnose your disposal issue, call the Moen Brothers for honest, dependable and affordable plumbing service in Ft. Myers, San Carlos Park, Estero, Bonita Springs and Naples. What foods should you avoid putting down your disposal? Expanding foods like uncooked beans, uncooked pasta, stringy vegetables, egg shells, coffee grounds and grease. Not all of these are necessarily bad for your disposal but do cause problems in your drain line. How your garbage disposal is installed can also limit it’s performance. Minimum plumbing code allows us plumbers to install the drainage of a disposal above a single trap through a baffled tee. This tee prevents ground up food from spitting up the other side of your sink but also cuts the size of your piping in half. Plumbing your disposal with minimal turns and it’s own p-trap will greatly improve it’s performance.